This article is about the Catholic martyrs. For the Protestant martyrs, see List of Protestant martyrs of the English Reformation. The Roman Catholic martyrs of the English Reformation are men and women executed under treason legislation in the English Reformation, between 1534 and 1680, and recognised as martyrs by the Roman Catholic Church. Though consequences of the English Reformation were felt in Ireland and Scotland as well, this article only covers those who died in the Kingdom of England. On 25 February 1570, Pope Pius V's "Regnans in Excelsis" bull excommunicated all both the English Queen Elizabeth I and any who obeyed her. This papal bull also required all Roman Catholics to rebel against the English Crown as a matter of faith. In response, in 1571 legislation was enacted making it treasonable to be under the authority of the Pope, including being a Jesuit, being Roman Catholic or harbouring a Roman Catholic priest. The standard penalty for all those convicted of treason at the time was execution by being hanged, drawn and quartered. In the reign of Pope Gregory XIII (1572–85), authorisation was given for 63 recognised martyrs to have their relics honoured and pictures painted for Roman Catholic devotions. These martyrs were formally beatified by Pope Leo XIII, 54 in 1886 and the remaining nine in 1895. Further groups of martyrs were subsequently documented and proposed by Roman Catholic bishops of England and Wales and formally recognised by Rome. 54 were beatified in 1886. 9 were beatified in 1895. One (Oliver Plunkett) was beatified in 1920. 136 were beatified in 1929. 85 were beatified in 1987. (So 285 were beatified at various times, of whom 43 were subsequently canonised). 30 were declared venerable, of whom one, John Travers, was executed in Dublin and appears in Irish Catholic Martyrs. 44 were postponed ("dilati") - 36 died in prison and 8 were postponed for other reasons. Oliver Plunkett, Archbishop of Armagh, 1 July 1681 (beatified in 1920). As well as those listed below, John Fisher and Thomas More were beatified on this date, as were the following 11 members of the Forty Martyrs of England and Wales - Alexander Briant, Edmund Campion, John Houghton, Luke Kirby, Robert Lawrence, Cuthbert Mayne, John Payne, Richard Reynolds, Ralph Sherwin, John Stone, Augustine Webster - making a total of 54. 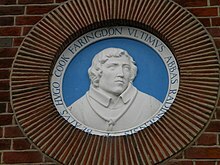 As well as those listed below, 29 members of the Forty Martyrs of England and Wales were also beatified on that date, making a total of 136. Robert Anderton, priest, 25 April 1586. Thomas Ashby, layman, 19 March 1544 - "there was some doubt that he died as a Catholic"
They "were left with their fate still in suspense, and are called Dilati. [36 of them were] "Confessors", who certainly died in prison for their faith, though it is not yet proven that they died precisely because of their imprisonment...[the remaining eight - William Tyrrwhit, James Atkinson, Matthias Harrison, Fr. Henry Garnet, S.J., John Mawson, Thomas Dyer, Lawrence Hill and Robert Green were] put off for various causes." During the reign of Henry VIII of England. During the reign of Mary I, papal authority was officially reinstated and hundreds of the majority Protestant population were martyred. Upon Elizabeth I's accession to the throne, an Act of Supremacy denied papal authority over the English church; but only a decade later, in February 1570, did Pope Pius V excommunicate Elizabeth and any who obeyed her, issuing the bull Regnans in Excelsis, which purported to "release[ Elizabeth I's] subjects from their allegiance to her". In the words of the New Catholic Encyclopedia, "Without question it was Elizabeth I's intention to supplant the old religion with the new in a bloodless manner. It is significant that there were no martyrs in the first 12 years of her reign, and only five in the years 1570 to 1577." Of those five, Thomas Plumtree had been chaplain to the insurgents in the Rising of the North, John Felton had published Pope Pius V's Bull Regnans in Excelsis ("reigning on high"), excommunicating Queen Elizabeth, John Story was tried for high treason, for having supported the Rising of the North and encouraging the Duke of Alba to invade, Thomas Percy, 7th Earl of Northumberland, had led the Rising of the North, and Thomas Woodhouse had declared in a letter to William Cecil that Elizabeth "for her own great disobedience is most justly deposed". The threat of invasion by a Roman Catholic country assisted by English subjects led the Crown to try to repress Roman Catholicism. Responding to Pius V's action, Elizabeth I's government passed anti-Roman Catholic decrees in 1571 forbidding anyone from maintaining the jurisdiction of the pope by word, deed or act; requiring use of the Book of Common Prayer in all cathedrals, churches and chapels, and forbidding criticism of it; forbidding the publication of any bull, writing or instrument of the Holy See (the death penalty was assigned to this); and prohibiting the importing of Agnus Dei images, crosses, pictures, beads or other things from the Bishop of Rome. Later laws made illegal the drawing of anyone away from the state church; non-attendance at a Church of England church; raising children with teachers who were not licensed by an Anglican diocesan bishop; and attending or celebrating the Roman Catholic Mass. In 1585, a new decree made it a crime punishable by death to go overseas to receive the sacrament of Ordination to the Roman Catholic priesthood. Nicholas Devereux (who went by the alias of Nicholas Woodfen) and Edward Barber (see below Edward Stransham) were both put to death in 1586 under this law. William Thomson and Richard Lea (see below Richard Sergeant) were hanged, disembowelled and quartered under the same law. In 1588, eight priests and six laymen at Newgate were condemned and executed under this law. ^ Pullan, Malcolm (2008). The Lives and Times of Forty Martyrs of England and Wales 1535–1680. Athena Press. pp. xvii–xxii. ISBN 978-1-84748-258-7. Retrieved 10 November 2012. ^ a b c d e f g "Edward MORGAN SJ". Sanalbano.org. 8 October 2016. Retrieved 5 November 2016. ^ "Catholic Encyclopedia: St. John Boste". Newadvent.org. Retrieved 5 November 2016. ^ "CATHOLIC ENCYCLOPEDIA: St. Margaret Clitherow". Newadvent.org. Retrieved 5 November 2016. ^ "Lives of the English martyrs : declared blessed by Pope Leo XIII, in 1886 and 1895". Archive.org. Retrieved 5 November 2016. ^ "CatholicSaints.Info » Blog Archive » Blessed Lawrence Richardson". Saints.sqpn.com. 24 May 2015. Retrieved 5 November 2016. ^ a b "Catholic Encyclopedia: Ven. John Amias". Newadvent.org. 1 March 1907. Retrieved 5 November 2016. ^ a b "CATHOLIC ENCYCLOPEDIA: Ven. Robert Anderton". Newadvent.org. 1 March 1907. Retrieved 5 November 2016. ^ "CATHOLIC ENCYCLOPEDIA: Ven. William Andleby". Newadvent.org. 1 March 1907. Retrieved 5 November 2016. ^ a b c "CATHOLIC ENCYCLOPEDIA: Ven. Thomas Alfield". Newadvent.org. 1 July 1912. Retrieved 5 November 2016. ^ a b "CATHOLIC ENCYCLOPEDIA: Ven. Christopher Bales". Newadvent.org. Retrieved 5 November 2016. ^ "CATHOLIC ENCYCLOPEDIA: Venerable John Bodey". Newadvent.org. Retrieved 5 November 2016. ^ a b c d "CATHOLIC ENCYCLOPEDIA: Ven. John Cornelius and Companions". Newadvent.org. 1 October 1910. Retrieved 5 November 2016. ^ "CATHOLIC ENCYCLOPEDIA: Ven. William Dean". Newadvent.org. Retrieved 5 November 2016. ^ Catholic Online (20 March 1912). "Bl. William Freeman - Saints & Angels - Catholic Online". Catholic.org. Retrieved 5 November 2016. ^ "CATHOLIC ENCYCLOPEDIA: Bl. German Gardiner". Newadvent.org. 1 September 1909. Retrieved 5 November 2016. ^ Bunson, Matthew (2003). Our Sunday Visitor's Encyclopedia of Saints, Revised. Our Sunday Visitor Publishing. p. 712. ISBN 978-1-93170-975-0. Retrieved 31 March 2013. ^ a b c "Catholic Encyclopedia: Ven. John Adams". Newadvent.org. 1 March 1907. Retrieved 5 November 2016. ^ "CATHOLIC ENCYCLOPEDIA: Ven. George Beesley". Newadvent.org. Retrieved 5 November 2016. ^ "CATHOLIC ENCYCLOPEDIA". Newadvent.org. Retrieved 5 November 2016. ^ a b "CATHOLIC ENCYCLOPEDIA: Ven. Hugh Taylor". Newadvent.org. 1 July 1912. Retrieved 5 November 2016. ^ "CATHOLIC ENCYCLOPEDIA: Ven. John Britton". Newadvent.org. Retrieved 5 November 2016. ^ "CATHOLIC ENCYCLOPEDIA: Ven. William Carter". Newadvent.org. 1 October 1912. Retrieved 5 November 2016. ^ a b c "Friaries: The observant friars of Greenwich | British History Online". British-history.ac.uk. 31 October 2016. Retrieved 5 November 2016. ^ "The Observant Friar Martyrs of Greenwich". Seattle Catholic. 27 July 2005. Retrieved 5 November 2016. ^ "London Martyrs List.PDF" (PDF). Academic.regis.edu. Retrieved 5 November 2016. ^ "CATHOLIC ENCYCLOPEDIA: Ven. Edmund Brindholm". Newadvent.org. Retrieved 5 November 2016. ^ "Catholic Encyclopedia: John Allen". Newadvent.org. 1 March 1907. Retrieved 5 November 2016. ^ a b "A complete history of the British martyrs : from the Roman occupation to Elizabeth's reign". Archive.org. Retrieved 5 November 2016. ^ "Martyrs of England and Wales", New Catholic Encyclopedia, 9:322 (1967). ^ Thomas M. McCoog (2004). "Woodhouse, Thomas (d. 1573)". 1. Oxford Dictionary of National Biography, Oxford University Press. doi:10.1093/ref:odnb/29927. Retrieved 8 September 2014. ^ a b Chapman, John H. "The Persecution under Elizabeth" Transactions of the Royal Historical Society, Old Series Vol. 9 (1881), pp. 21-43. Retrieved 2012-02-19. Pendrill, Colin (2000), The English Reformation 1485-1558, Heinemann. Pallen, C.B., Wynne, J.J., eds. (1929), The New Catholic Dictionary, New York: Universal Knowledge Foundation. This article incorporates text from a publication now in the public domain: Pollen, John Hungerford (1913). "English Confessors and Martyrs (1534–1729)" . In Herbermann, Charles (ed.). Catholic Encyclopedia. New York: Robert Appleton.